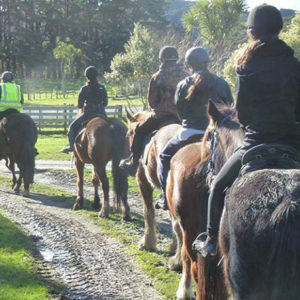 A guided horse trek on Riversdale Station, The three hour ride can be with others in your group or mixed groups of guests with a minimum of two guests for the trek. 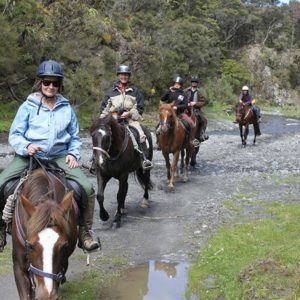 A guided horse trek on Riversdale Station, The three hour ride can be with others in your group or a mixed group of guests with a minimum of two guests for the trek. 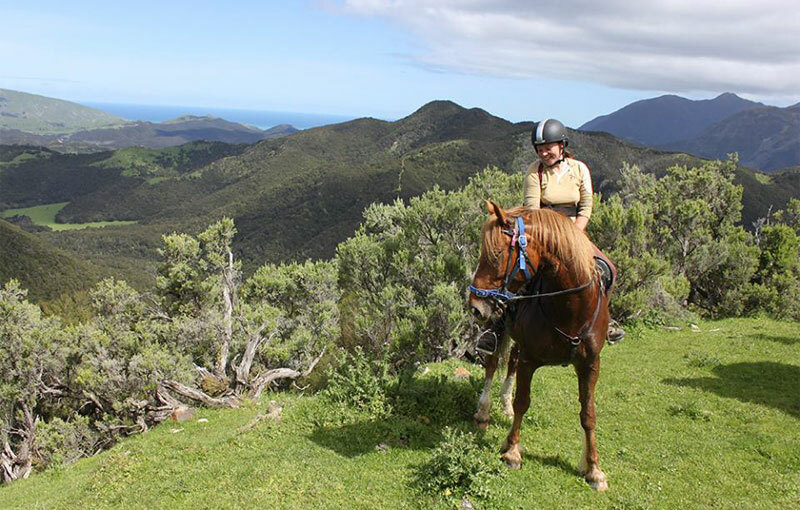 Our team of horses for the trek are carefully chosen for their temperament and character. The horses are all shapes, makes and sizes: Station bred, Quarter horse, Standard bred, Appaloosa, Paint and Clydie. Some are young and energetic, some are older and wiser. Likewise our guides! One of the team of horses suited to your riding ability and for the character of the horse. Foot wear: a boot with a small heal, tramping boots. Running or track shoes are not the best but will do. Long trousers: Track pants are ideal, loose and comfortable. Not Jeans, too tight. A light wind proof/water proof jacket.